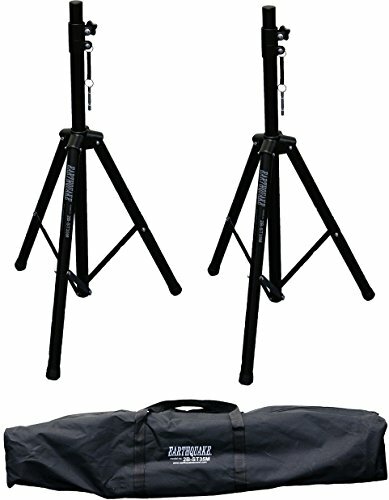 Made of high-quality steel with heavy-duty metal Housing, the Earthquake Sound 2B-ST35M pro-audio speaker stands can easily support speakers with a maximum weight of 132 pounds. The tripod base design and collar safety pin provide added stability. The telescoping design makes it easy to bring your sound on the road. If you have any questions about this product by Earthquake Sound, contact us by completing and submitting the form below. If you are looking for a specif part number, please include it with your message.